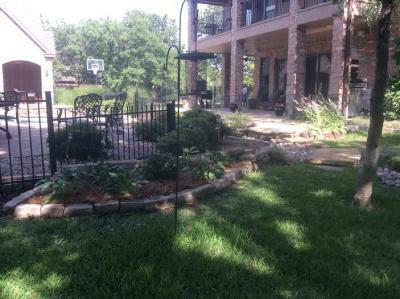 Groundscape Solutions, A Fort Worth Landscaping Company designs and Installs Flower Beds with Stone Edging. 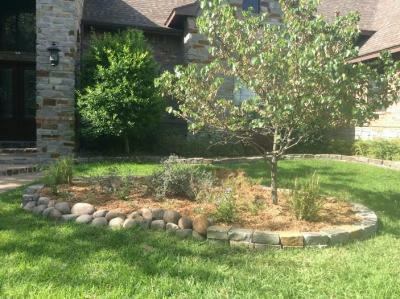 These Flower Beds are edged with River Rock and Chopped Stone giving these flower beds a natural look. Give us a call at 817-759-0102 for a quote or visit our website at www.groundscape.com Groundscape Solutions is a fullly insured landscaping company and will provide references.